Developing the Perfect Pitch is a PDF download that you can take to the practice mound on your mobile device or download and printout.This e-book provides you with baseball pitching tips to help you with velocity and control. 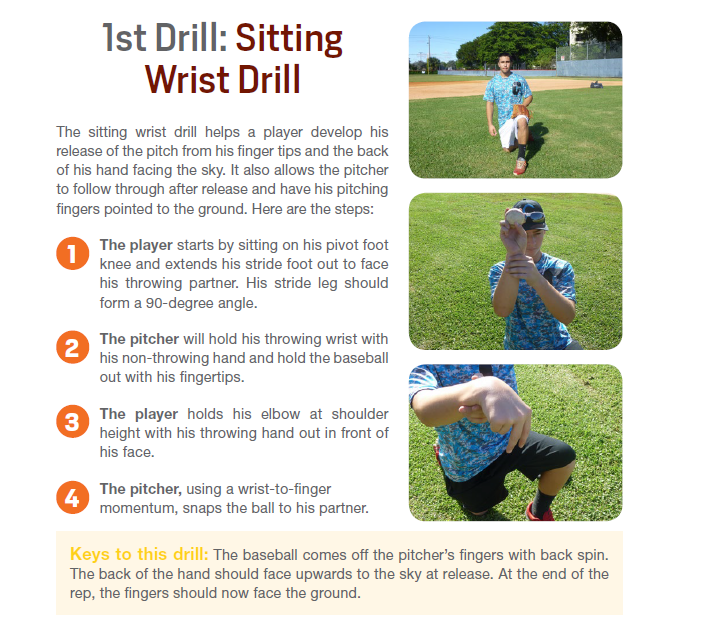 In addition, these tips will help you learn to pitch correctly and reduce your risk of injury. Click now to see an example of the Sitting Wrist Drill. The complete package of drills is available for $4.95. Steve Carp has over 30+ years of coaching experience! He played college baseball at University of Georgia, professional baseball with the New York Mets, Kansas City Royals and the New York Yankee organization. He coaches high school baseball and also coached at the college and professional level. Over 30 of Coach Carp’s students have signed professional baseball contracts. You just booked "Developing the Perfect Pitch"